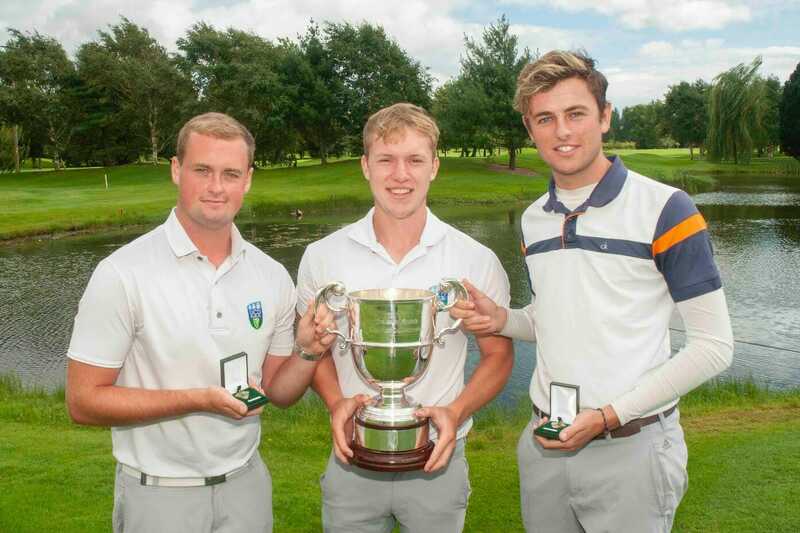 It was a great day at Killeen Golf Club for Stackstown’s John McCarthy as he captured the Leinster Students Amateur Championship by one stroke. McCarthy held his nerve and added a 76 to his previous rounds of 69 and 72 for an overall score of 217, one over par and finished just one shot ahead of William Small from Tandragee who came in second place, finishing with an excellent third round one under par 71 to give him a total of 218. Third place went to Jamie Knipe from Royal Portrush who had a final round of 75 to finish on a score of 220. The Winning Team was University College Dublin comprising of John McCarthy (Stackstown), Jonathan Hayden (Royal Dublin) and Gavin Fitzmaurice (Balcarrick) with a score of 440, ten shots clear of Runners Up Maynooth University (A) team which included Cathal Butler (Kinsale), Aaron Ryan (Thurles), Harry Gillivan (Westport) on 450.